Genoa, September 23 2014 – Costa Crociere confirms that yesterday night Sept 22nd at about 11.15 pm CET, according to ship’s Captain report, while Costa Fascinosa was sailing from Venice to Bari on her cruise itinerary with very bad weather conditions, the ship experienced a sudden listing due to the very strong wind (with gusts over 90 knots). Ship command immediately activated the relevant procedures and guests and relevant authorities have been immediately informed. At no time was the safety of the guests and crew ever put at risk. Only a very limited number of guests asked for the help of the medical team onboard but no serious injury were reported. One of the the largest and newest ships in the Costa fleet the Costa Fascinosa has experienced bad weather while sailing in the Mediterranean on Monday September 22nd. According to local Italian news outlets and Cruise Law News the 114,500 ton ship has been caught in a waterspout. A waterspout looks identical to a tornado but usually not as strong and are common in hot tropical regions. The waterspout that affected the Fascinosa seemed to have caused winds up to 90 mph along with strong waves for more than 2 hours. One crew member who seems to be a Chef onboard the ship posted a video of the galley just after it happened. There seems to be just shock at what had just happened. You can also see some photos of the aftermath that the crew member Jimmy Hernandez has posted. From the photos it seems the crew have started cleaning up all the damaged plates. 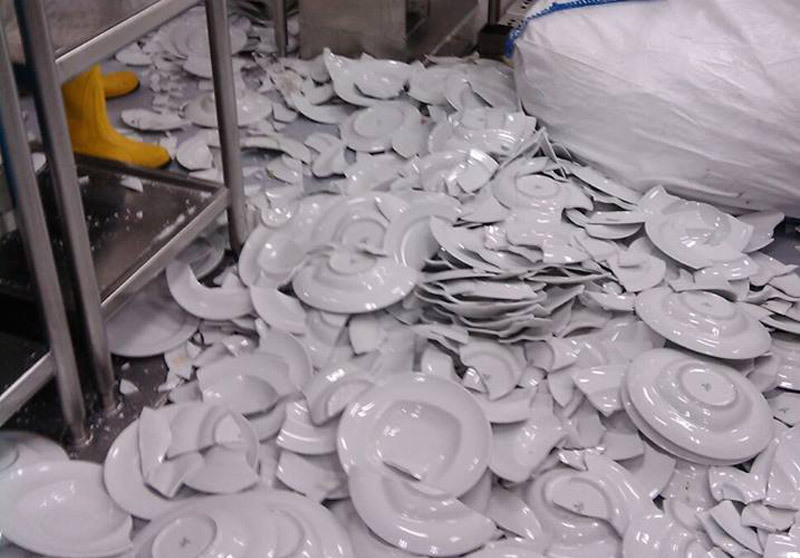 We wonder if the ship had enough plates for the rest of the cruise! According to other reports from Italian news outlets including Blitz Quotidiano the captain had made announcements for passengers to put on life jackets as he lost control of the ship. Cruise Hive has asked Costa Cruises for any more details on what happened and will update this post once we get a response.